Roberto McGrath, P.T., D.P.T., C.O.M.T. Dr. McGrath graduated with a Doctorate in Physical Therapy as well as Bachelors in Biology from Seton Hall University. He continued his education and became a Certified Orthopedic Manual Therapist (COMT) demonstrating advanced clinical skills, knowledge, and experience as an expert in his field. With a passion for helping others achieve their recovery goals, Dr. McGrath has expanded his skillset to include biomechanical analysis of running, speed and performance enhancement, vestibular rehab, instrument assisted soft tissue mobilization, kinesiotaping, and is considered a specialist in the field of concussion management. He also has extensive experience in working with elite level athletes and is currently pursuing a Diploma in Football Medicine from FIFA. Dr. McGrath brings over 10 years of clinical experience in physical therapy to Total Orthopedic Care. As a clinician, he is ready to assist those who need help restoring function, mobility, and a pain free lifestyle. Providing high quality and customized experiences for every patient is important to him, as he feels that no patient is the same regardless of their diagnosis. Dr. McGrath makes your own personal goals his own and that is why he has been so successful in his career. When Dr. McGrath isn’t treating patients, he spends his time educating therapists as an instructor for continuing education, playing soccer, traveling, and spending time with his loved ones. 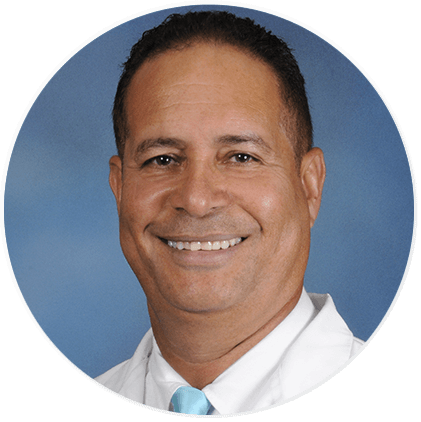 Dr. Jose Charris has over 30 years of experience as a clinical physical therapist with advanced training in respiratory therapy, lymphedema, and vestibular rehabilitation. 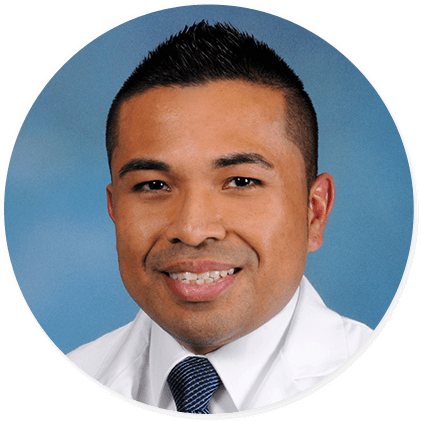 Jose earned his bachelor of physical therapy science at Metropolitan University in his native Colombia, and went on to earn his doctorate in physical therapy (DPT) at Shenandoah University in Virginia. Dr. Charris has been happily married since 1993, and his wife also happens to be a physical therapist. They have two adult children, and they’ve called South Florida their home for over 20 years. Dr. Charris is active in his church, and he also serves in prison/jail ministry. In his free time, Dr. Charris enjoys cooking, dancing, and playing soccer. Dr. Charris’s greatest professional joy is seeing patients overcome painful conditions and mobility restrictions caused by injury or disease. To learn more about the benefits of physical therapy or to schedule an appointment, call Total Orthopaedic Care today at (954) 735-3535 or use our online appointment request form.